I have this dress that I don't wear. Its a pity it just sits in my closet because I love the print and its comfortable. Its cute. But it just doesn't do anything for me. 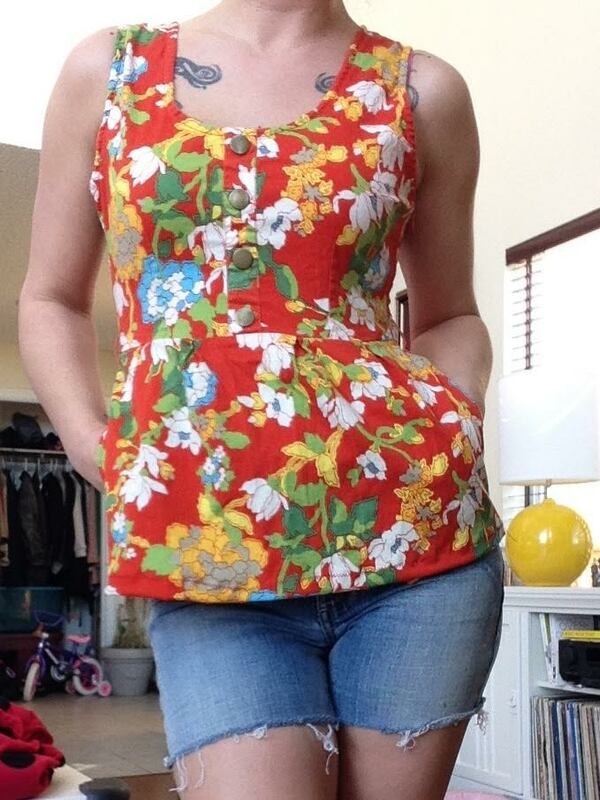 Since I always need tops to pair with jeans I decided to turn this dress into a top. Now I will get some use out of it! Nothing wrong, just not amazin' me! 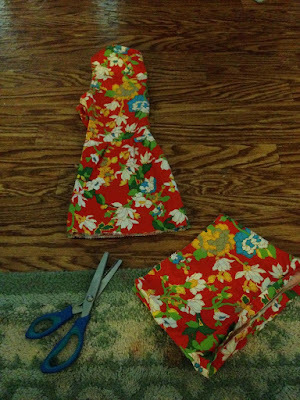 So the first thing I did was fold it in half length wise and cut half the skirt off. 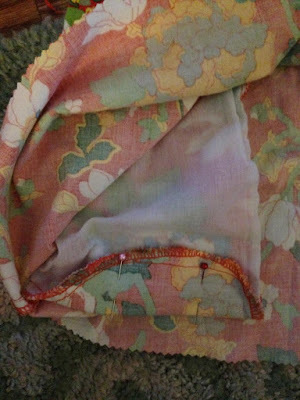 I folded it in half so that both sides would be even. 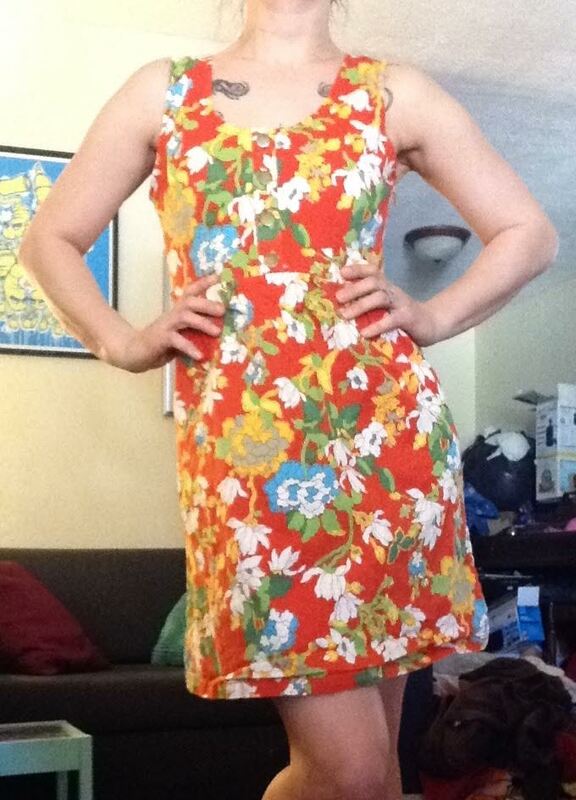 This dress has pockets so I had to fold them up from the bottom otherwise they would stick out. They were deep so they will still be useful even after hemming them up. I also pinned up the new hemline and sewed that too. I folded them up instead of cutting them in case it didn't turn out right the first time. This worked out just fine though. And thats about it! This was an easy refashion to do! 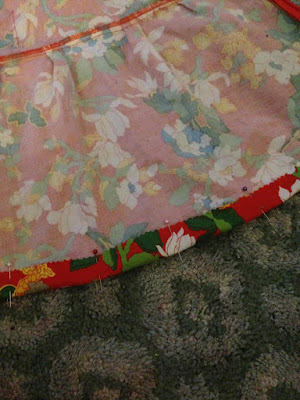 I may even use the extra skirt material to make a peplum layer- not sure yet! My blog post about this can be seen here! I love a dress with pockets, but a shirt with pockets? Even better!